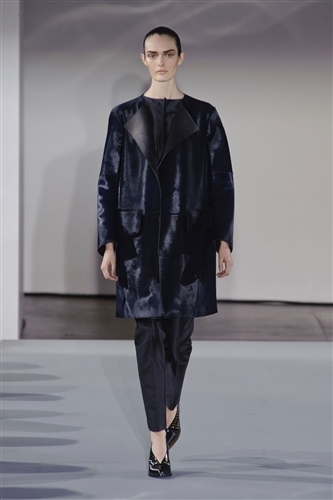 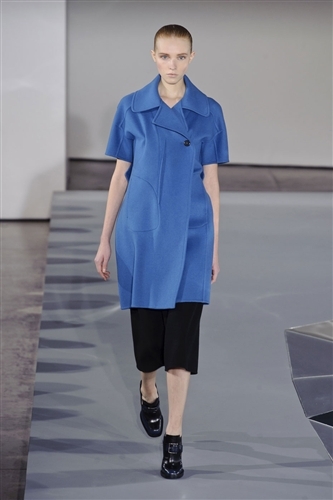 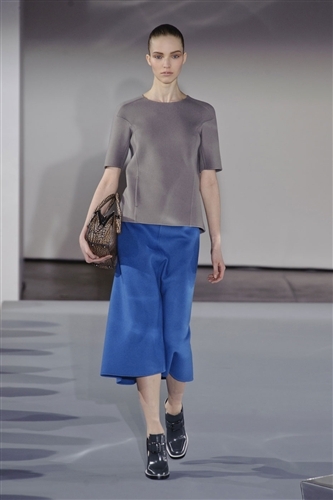 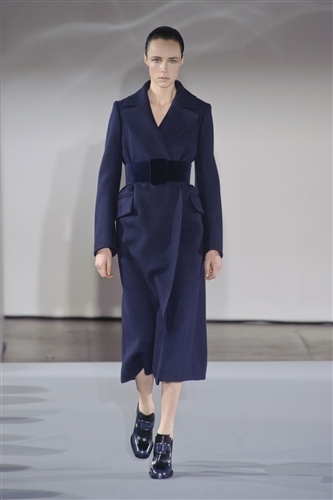 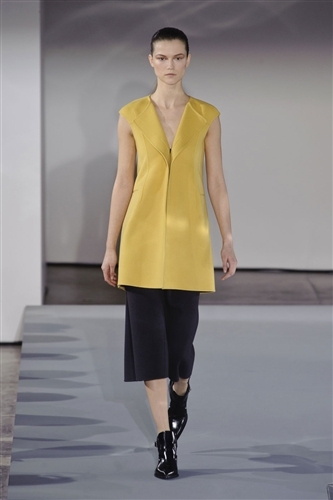 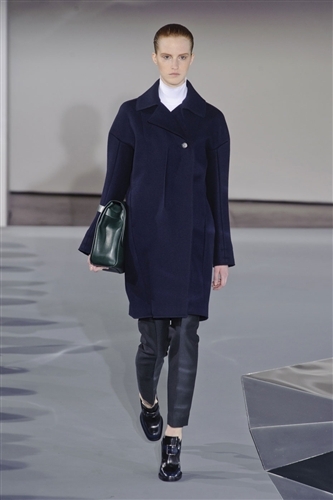 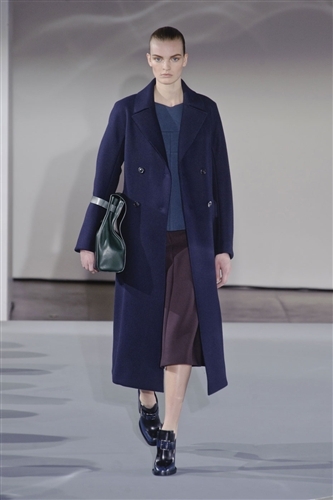 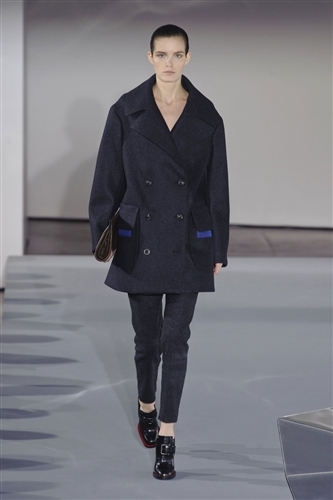 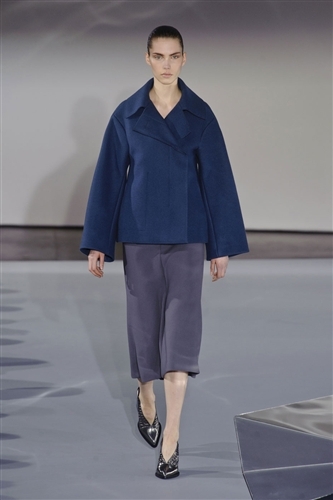 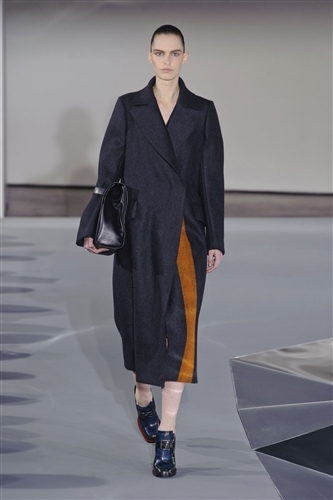 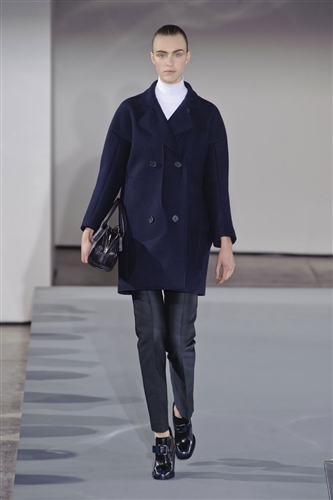 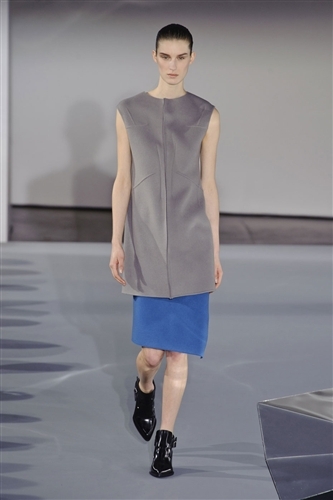 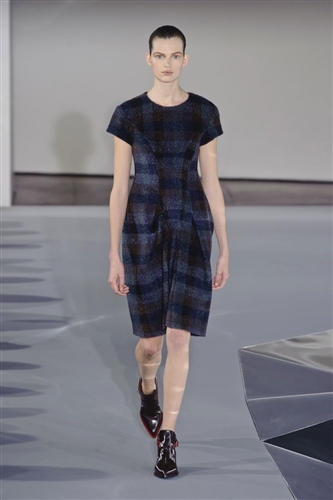 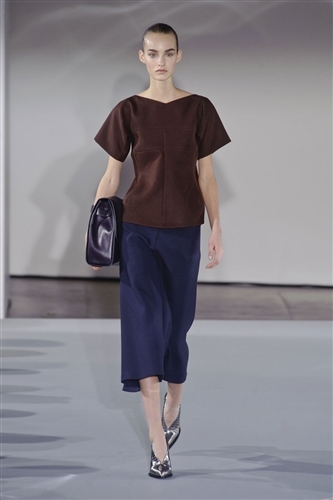 Amidst the tightly packed schedule of Milan Fashion Week Jil Sander was always guaranteed to be a sea of calm amongst it all, and she delivered her flawless minimalism yet again. 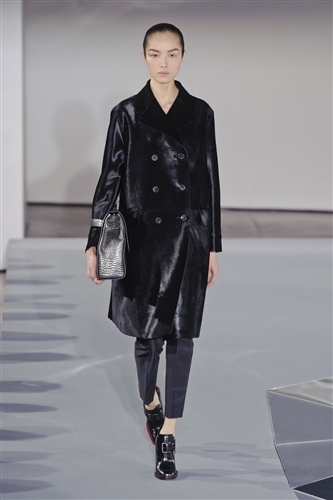 Jil has always a dressed a discerning customer, a woman who enjoys luxurious fabrics and understated styling and this season was no different as elegant and timeless designs emerged on the catwalk. 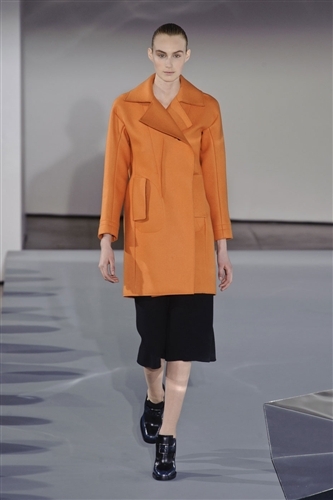 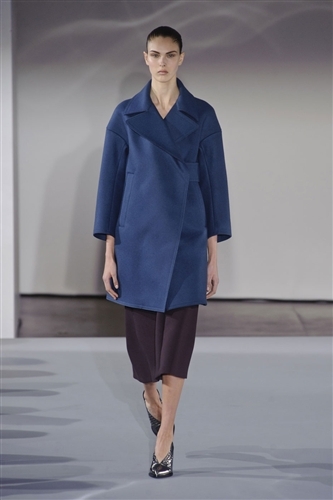 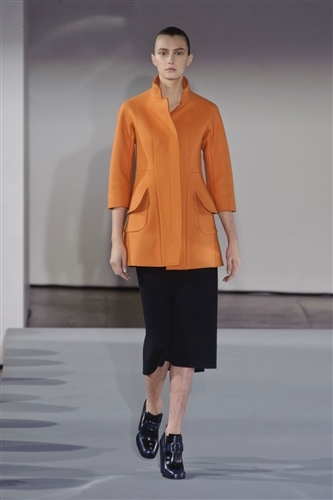 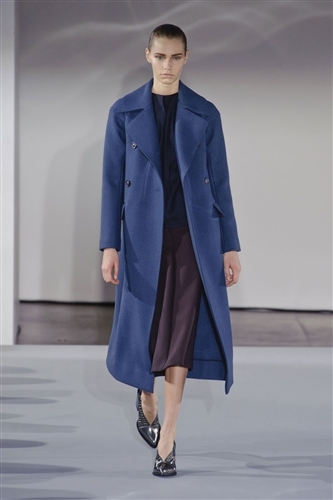 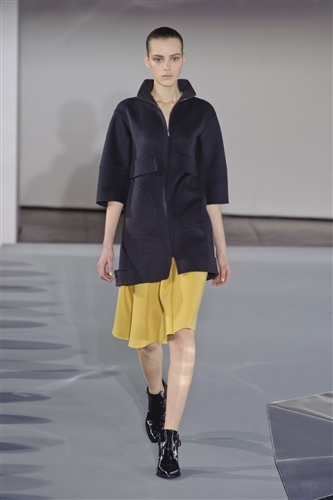 The designer reinvented her covetable cashmere coats for the new season in sumptuous camomile, burnt orange and bright blue and as well as more understated navy and grey. 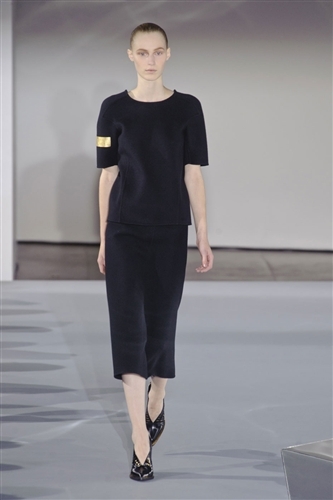 The designs were completely minimal; when a moment of interest was needed the skilled designer simply added a clean bold stripe to contrast, or occasionally a reversed seam.